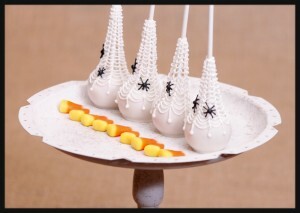 To make these Spider web cake pops I used, you guessed it, Royal Icing:)! Royal Icing is great! 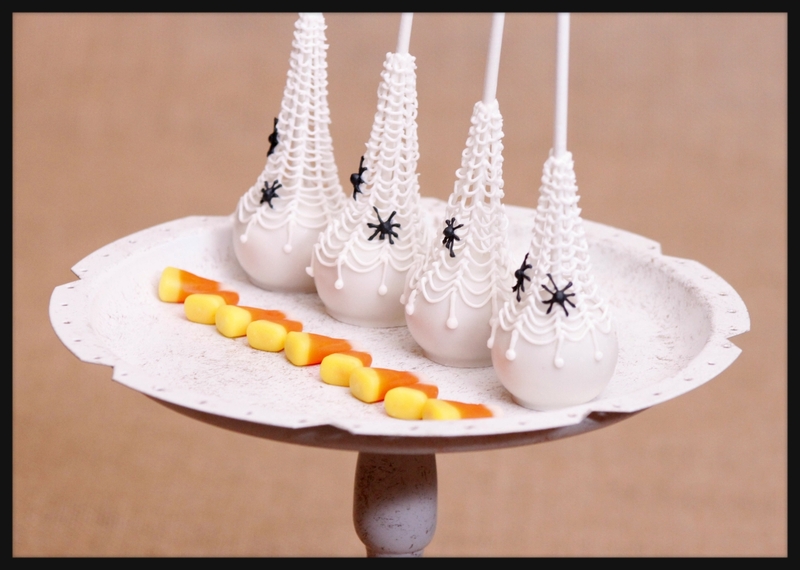 There is so much you can do with it and it is super easy to make! I bet you have everything in your kitchen already! 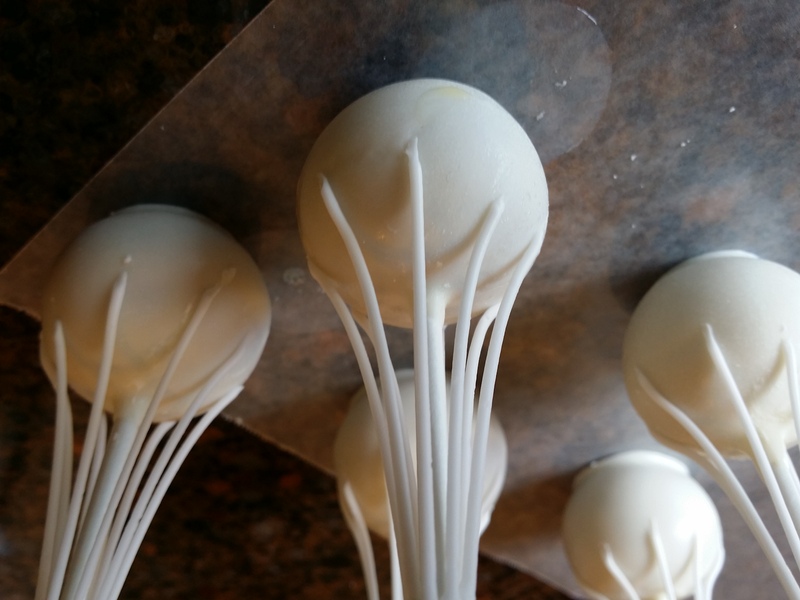 Just take an egg white (meringue powder works too if you would rather) whisk it up a bit and then add powder sugar till it forms stiff peaks! 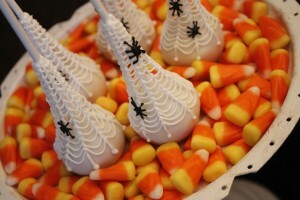 You can also flavor it as you wish, just make sure they are not oil based or it wont set up well! I usually use a ziplock baggy when decorating, but when I use stiff Royal icing like this, a piping bag and tip work best so I don’t break the bag;)! I started with a #2 tip. 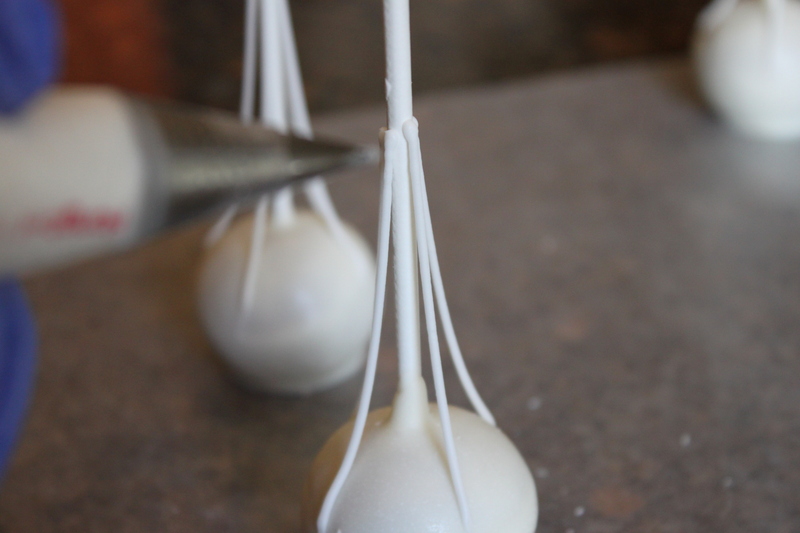 Put the tip on the stick where you would like the webbing to start and attach the icing. 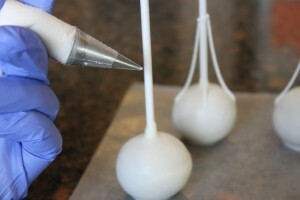 With even pressure and speed, pull that line down towards the cake pop and touch it off. Now it should be attached both at the top and at the cake pop. I did this around 4 corners and moved on to the next to give this some time to set. Once it was set it was a little easier to get the in between areas. 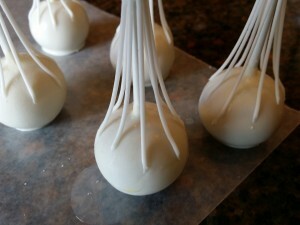 So 4 more strings of icing. Then I had something like this! It doen’t take long to set (at least in AZ!) so as soon as it sets you can move on to the final step! I switched out my piping tip to a #1 and started with the webbing. 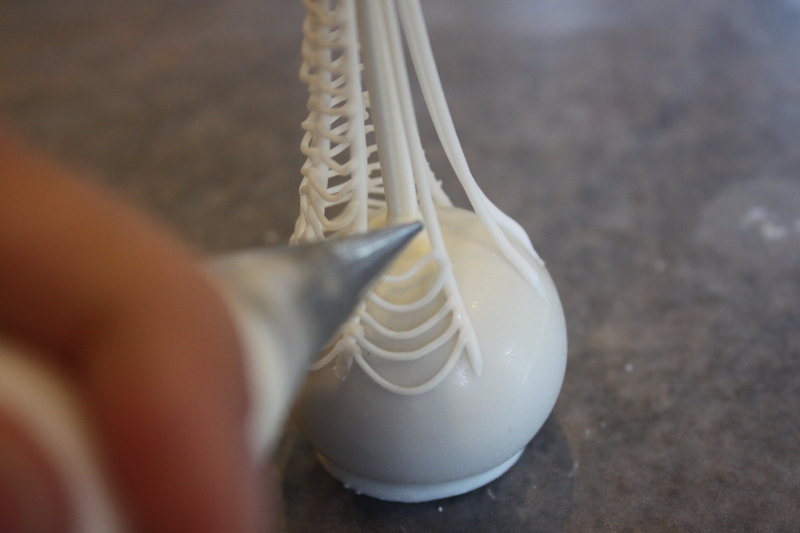 All you have to do is touch the icing at each point to adhere it to the icing. Isn’t Royal Icing amazing?! So take your tip and touch it to one string, pull till you have a slight swoop and then attach it buy touching it off on the next vertical string. If you like this tutorial and make cake pops, cookies, or even meatballs, take a look at our Easy Roller (or our new Mini Easy Roller!) it is how we keep these tutorials coming:)! !